Mile Markers: The BoggsMobile - 10 Years And Counting! The BoggsMobile - 10 Years And Counting! 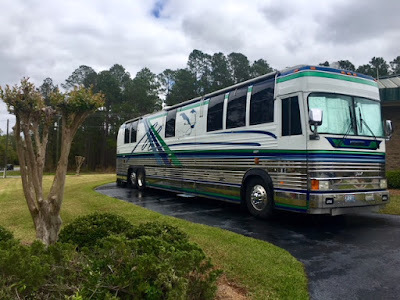 The BoggsMobile in Douglas, Georgia on Tuesday March 27, 2018 and Wednesday the 28th. The pictures will not match the text until near the end of the post. What is the BoggsMobile? 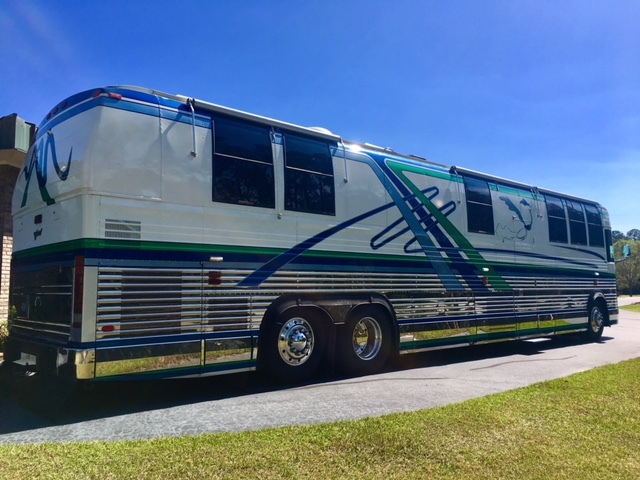 The current BoggsMobile is a 1995 Prevost XL delivered to and converted by Featherlite in 1995 in Sanford, Florida and titled as a 1996 Vantare. It was custom built for a family from southern California. 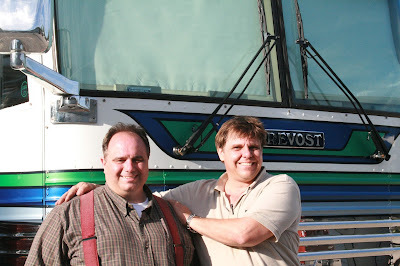 It is difficult to believe, but this week is the ten year anniversary of bus ownership for us. 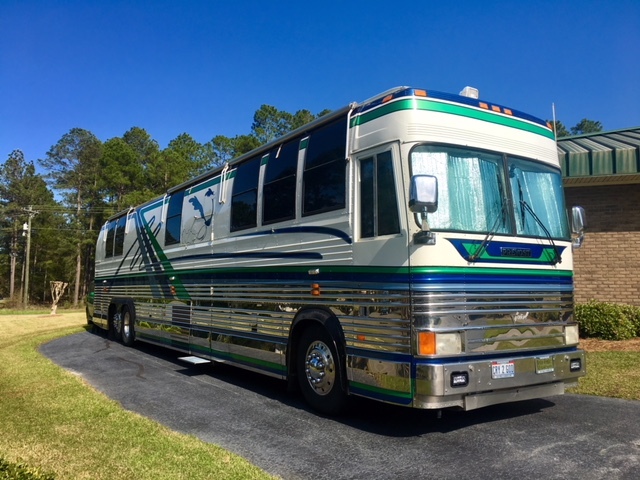 The bus now has 336,116 miles on it according to the computer. We purchased the bus on Friday March 21, 2008, drove to a Flying J in Tallahassee and stayed in it that night. We parked next to our 5th wheel on Saturday March 29th and began moving into the bus. That was ten years ago this week. We have never lived any where as a family for ten years except for the bus. That makes these last ten years pretty special. The longest we have lived in a particular house is a little over two years. We did make it a little longer than two years in our last 5th wheel. 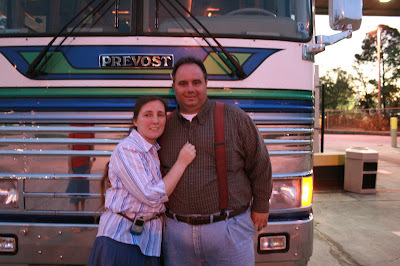 We lived in our 2004 Newmar Kountry Star four years. 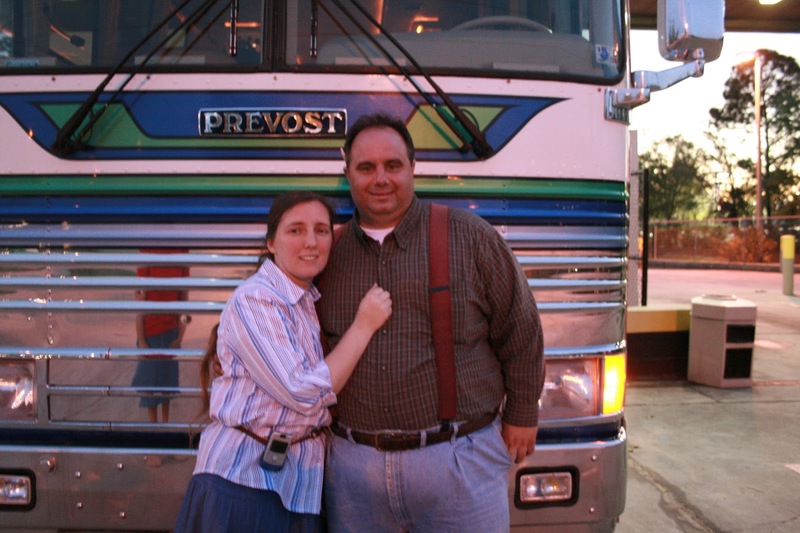 Ten years in the bus is also longer than any where Kelly Jo lived as a child with her parents. I lived with my parents almost thirteen years in the house where they currently live. It will not be long before I break that record in the bus too. That makes ten years pretty special for us. 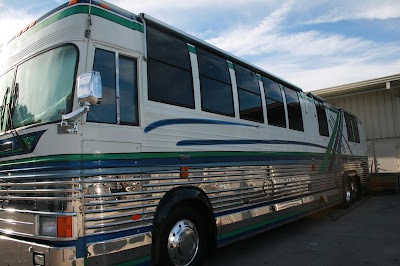 When we bought the bus we fully expected to be in it for many years. 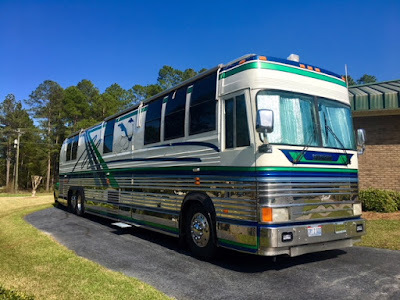 That is one of the main reasons we bought a motorhome built on a bus chassis rather than a conventional recreational vehicle. 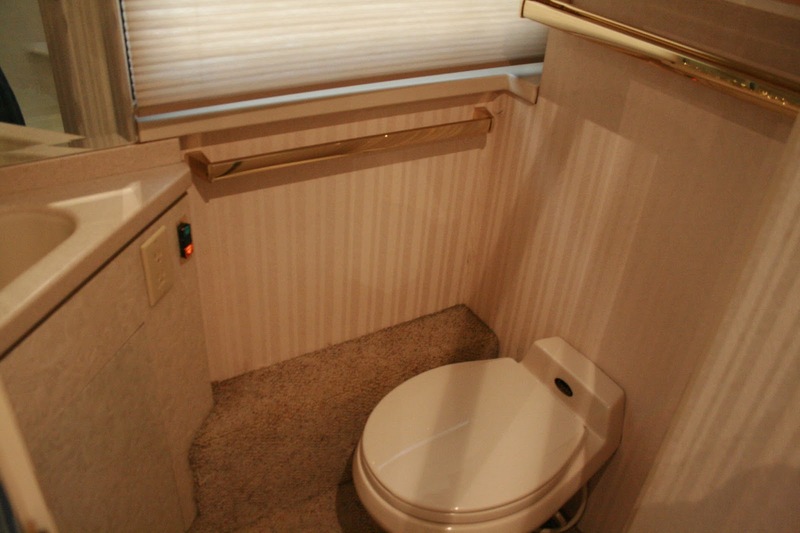 It is really all in the name, "Recreational Vehicle". 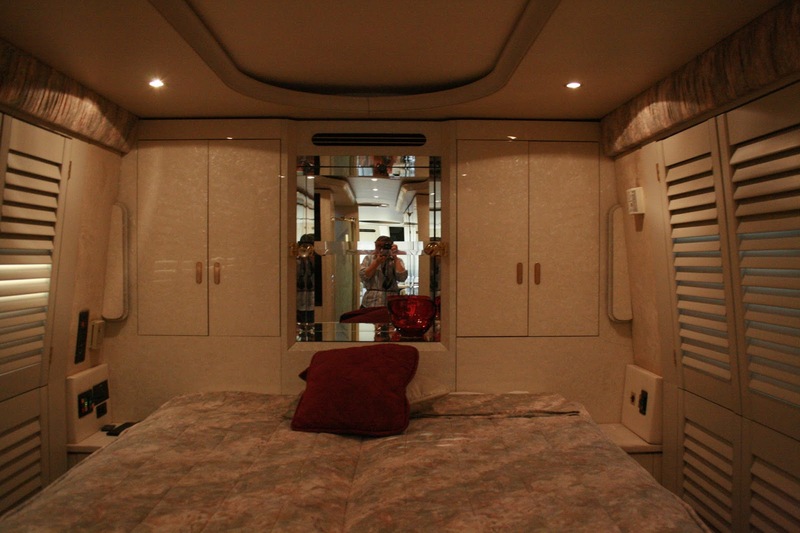 Conventional trailers, 5th wheels and motorhomes are meant to be used on weekends and 2-4 weeks in the summer. They are not designed to hold up to what we do week after week and year after year. The first time the BoggsMobile was backed into the barn on the Lazy OD Ranch in December 2014. 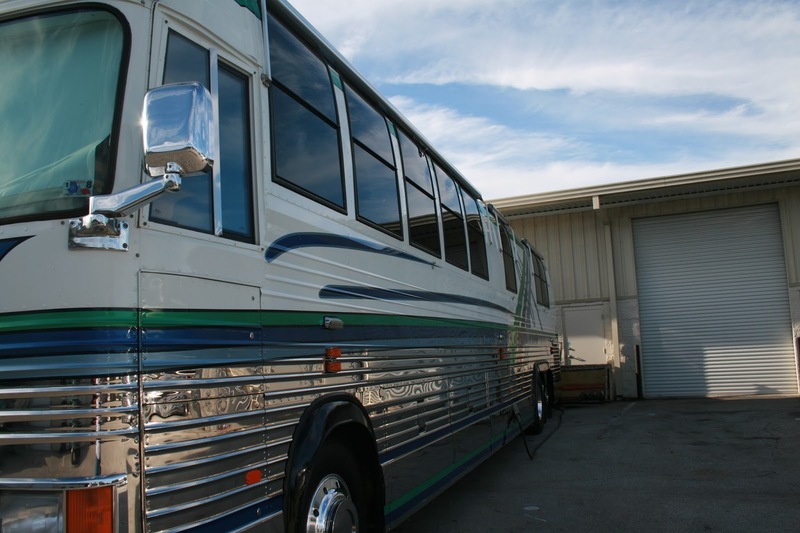 A bus is designed and built to run 2-3 million miles of revenue service. The Detroit 60 Series engine in a bus routinely goes 1,000,000 miles before a major overhaul. 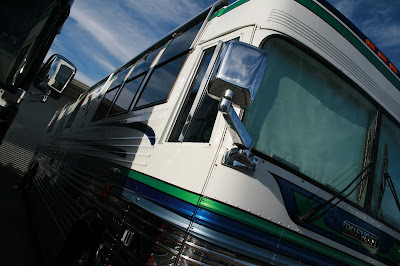 A good diesel engine in conventional RV would be comparable in that respect. 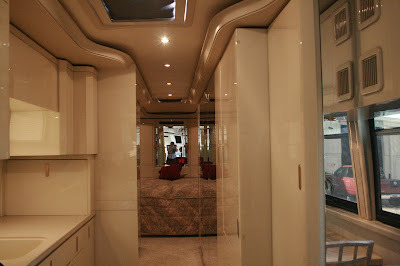 The difference is in the "house" part the motorhome. 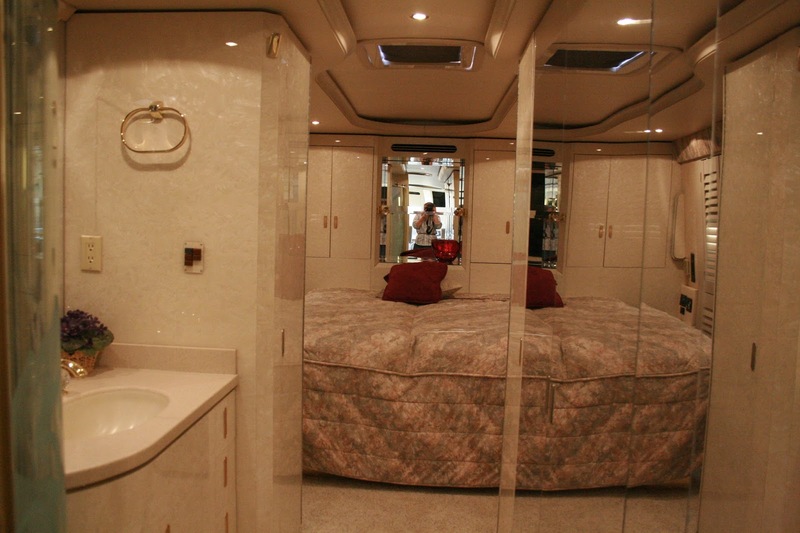 A conventional RV has a frame with a box for living quarters built on top of it. 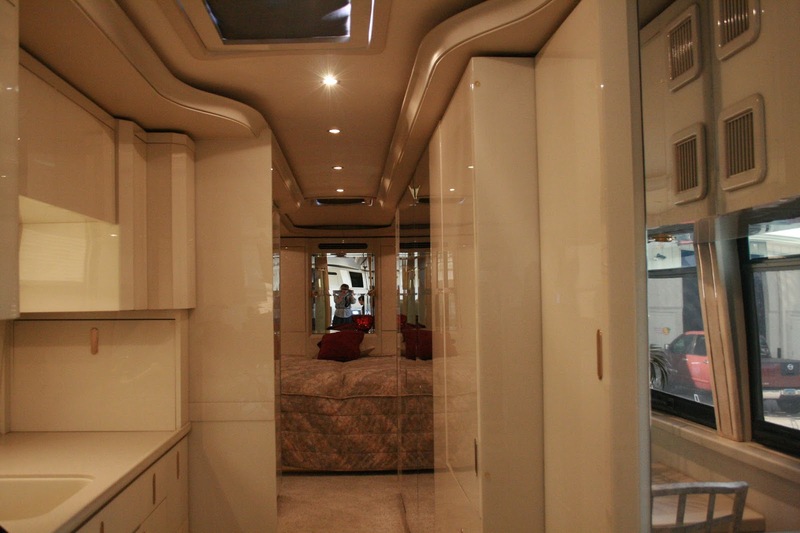 The whole outer shell of a bus is part of the frame and the "house" is built within the frame. 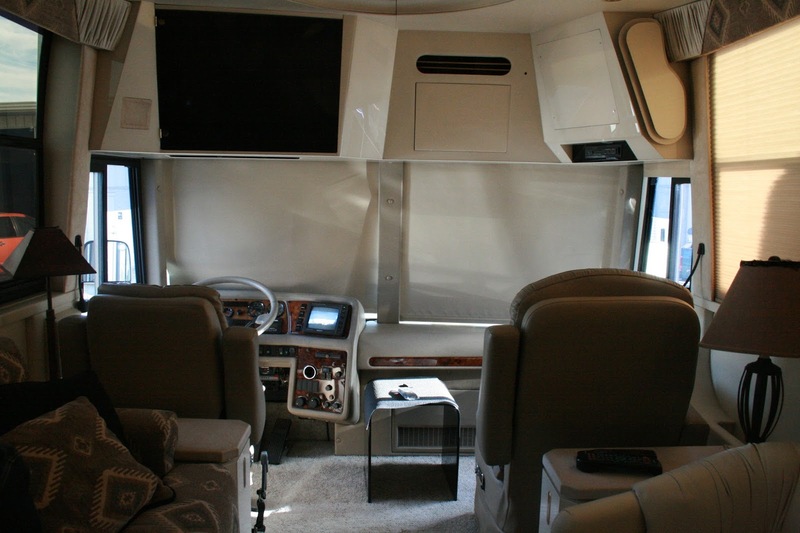 That is a major difference in comfort, longevity and safety. I have friends and acquaintances that drove 100,000+ miles in a conventional recreational vehicle and the house part of the motorhome was literally falling apart! The diesel engine was ready to go hundreds of thousands of miles but the box built on top of the chassis had been rattled into pieces. 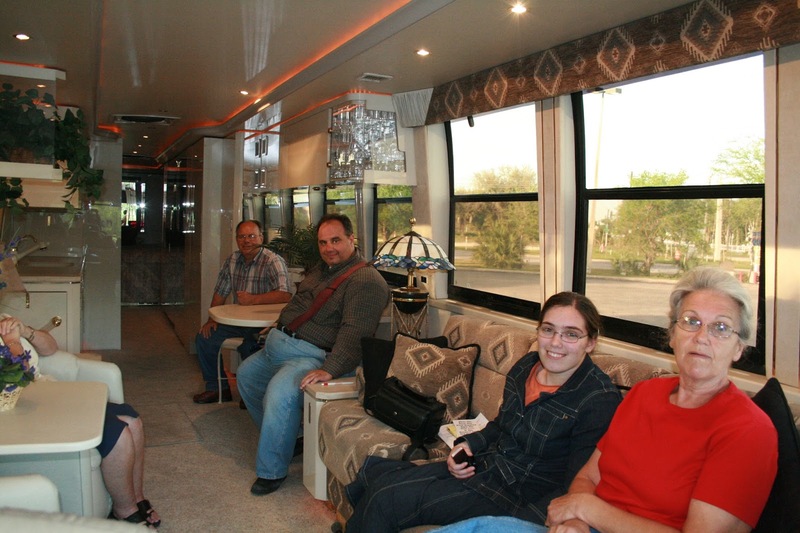 We researched the differences for about two years as we pulled our 5th wheel down the road. The Kountry Star was a great trailer, definitely the nicest of the three we have owned. It really held up good, doing what we do, but we knew it was only a matter of time before we would be buying another one and then another one, not to mention new trucks. There is no telling how many good trailers and trucks we would have went through over the last ten years. The journey toward the current BoggsMobile was a long and convoluted route. 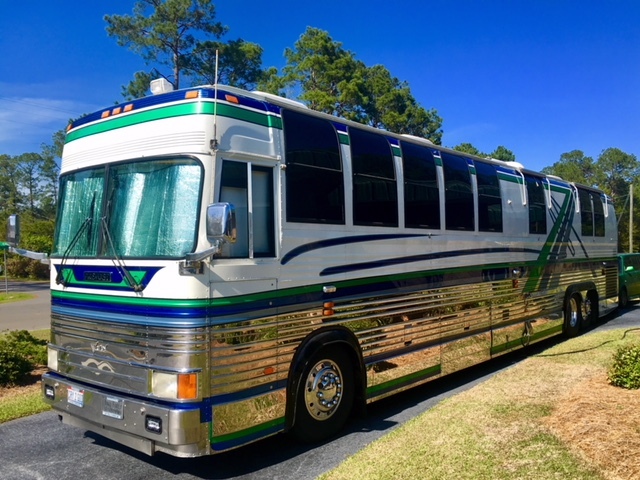 We looked at hundreds and hundreds of buses online, dozens and dozens of buses in person and came seriously close to buying four different buses. We came close to buying one in Pennsylvania, one in Georgia, another in Alabama and still another in Tennessee. We found the BoggsMobile in Sanford, Florida. 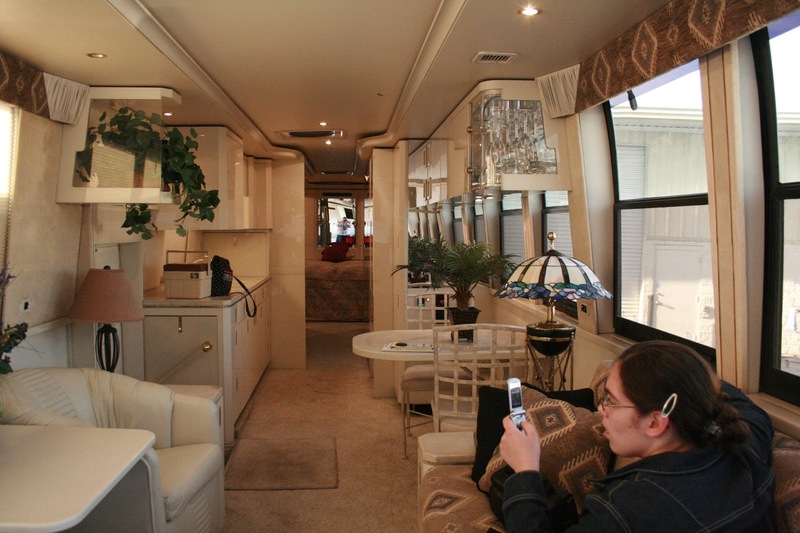 Kelly Jo found it online and a friend saw it advertised in an RV magazine. 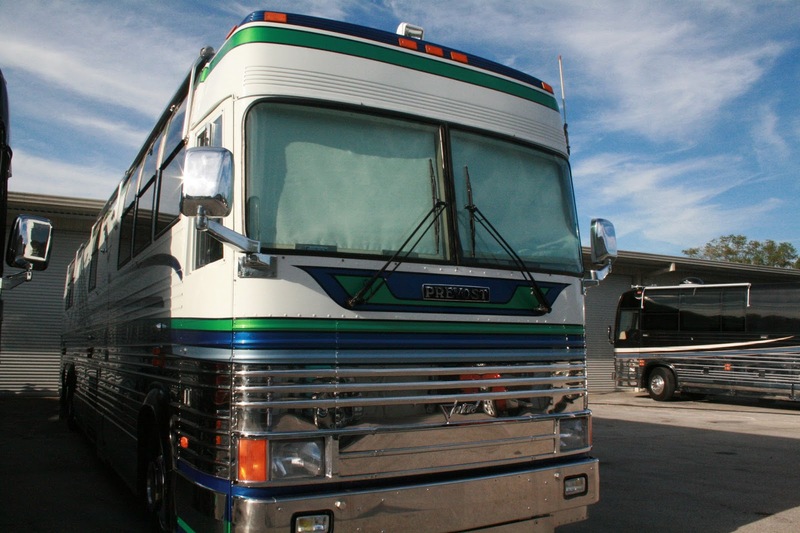 It definitely caught our interest but the dealer was not willing to work much on the price. We made a low ball offer without seeing it in person, subject to inspection, but they turned us down flatly and quite rudely. The dealer kept in touch over the next few months, dropping the price about $5,000 each time they called. When they finally descended to the offer we had made months before, I told them we would drive down to look at it. We arrived to see it for the first time on Monday March 17, 2008. A friend had already driven it for me and my Dad had looked it over and let us know it was very clean and seemed sound. We needed to see it for ourselves. By that time we had looked at many buses and we knew that pictures could be very, very deceiving. 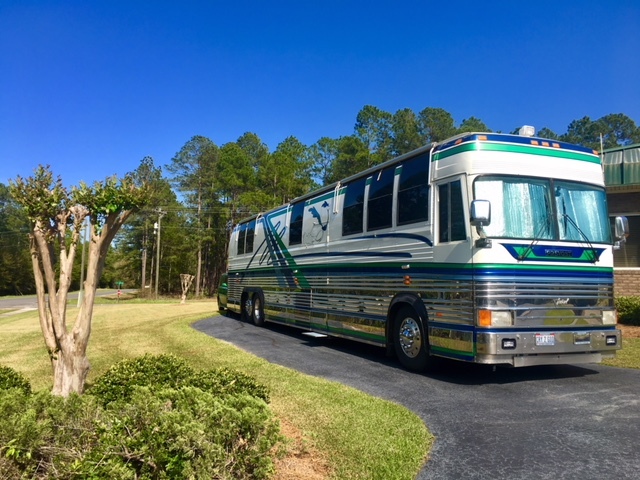 We spent a few hours looking it over and driving it and eventually made another offer that included the same money we had offered before plus some things we wanted repaired. They counter offered and we accepted it the next day. By March the 21st they had the repairs completed and we had the money in place to make the deal. We signed the papers and spent about 8-10 hours trying to learn the systems of the bus. I was overwhelmed. It was like drinking from a fire hose. In hind sight we needed about a week of training. This is where the 95/96 Prevost Vantare that became the BoggsMobile was sitting when we first laid eyes on it in Sanford, Florida at Florida Luxury Coach. This is what the interior looked like. 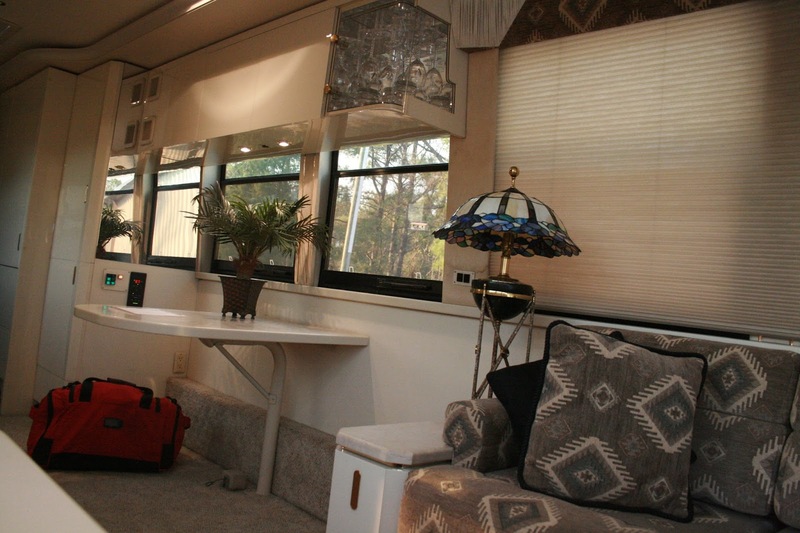 Now there is a bunk where the table and chairs were on the right, the barrel chairs are gone and the carpet has been replaced by engineered hardwood. Dad and Mom came up to see us off and put the first 50 gallons of diesel in for us. March 21, 2008 was the first day I had ever seen diesel at $4 per gallon. OUCH! My head was full of information and my heart was full of fear. When we drove away from Sanford on March 21, 2008 the computer odometer was showing 184,479 miles. The next day we arrived near Butler, Alabama at the location where Bro. Jerry Turner's new church was being built. Bro. 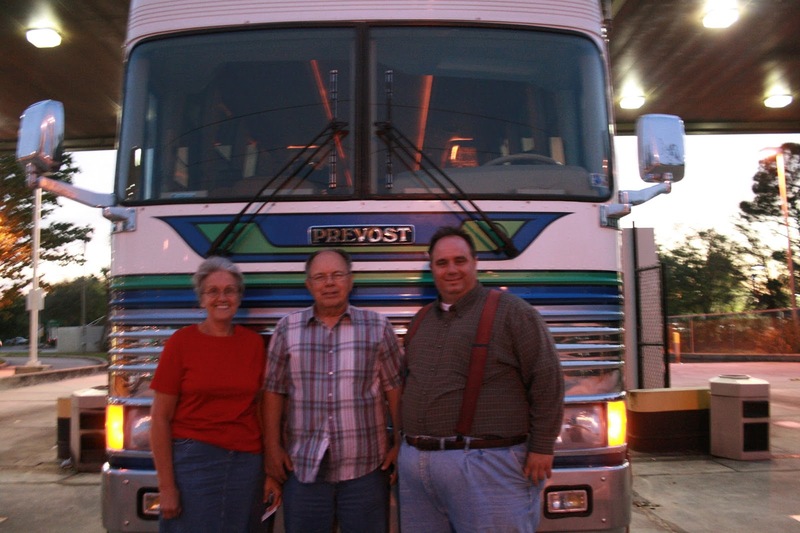 Shannon McDonald was working on his church and he had volunteered to build Odie's bunk. 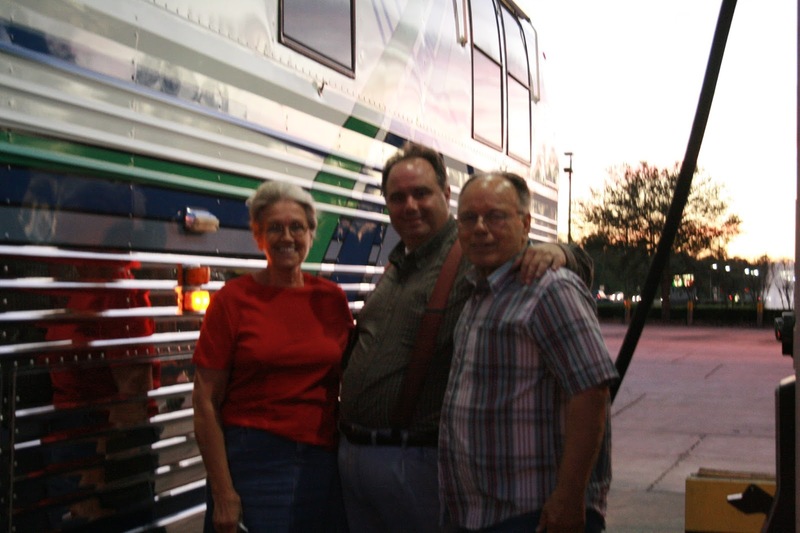 We left the bus there, hooked onto the 5th wheel at Allentown and drove to Pine Prairie, Louisiana to begin revival for Bro. Barry Gautreaux. 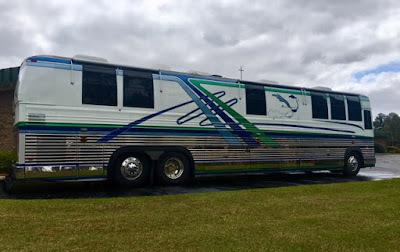 We left Christian Tabernacle Friday night March 28th and got side swiped in the truck and trailer by a drunk driver within 60 seconds of pulling onto the road. Wow! My nervous condition took a turn for the worse. 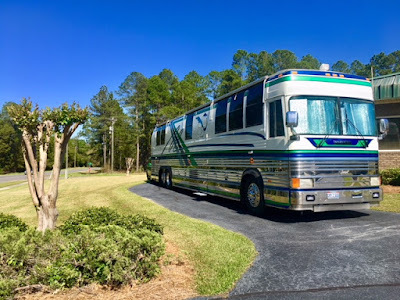 We dealt with all that, pulled the trailer to Richton, Misssissippi, drove the truck over to Butler, Alabama, picked up the bus and brought it back to Richton. We were scared, beat up, exhausted and ready to break down and cry. Except we did not have time to cry. We had a limited amount of time to transfer our stuff while we were preaching our first revival for Pastor Scott Morris and Sis. Kim. They probably wondered what in the world they had gotten themselves into! The rest is history, as they say. Ten years later I now know more about buses than I have ever wanted to know and I know almost nothing about buses in the grand scheme of things. 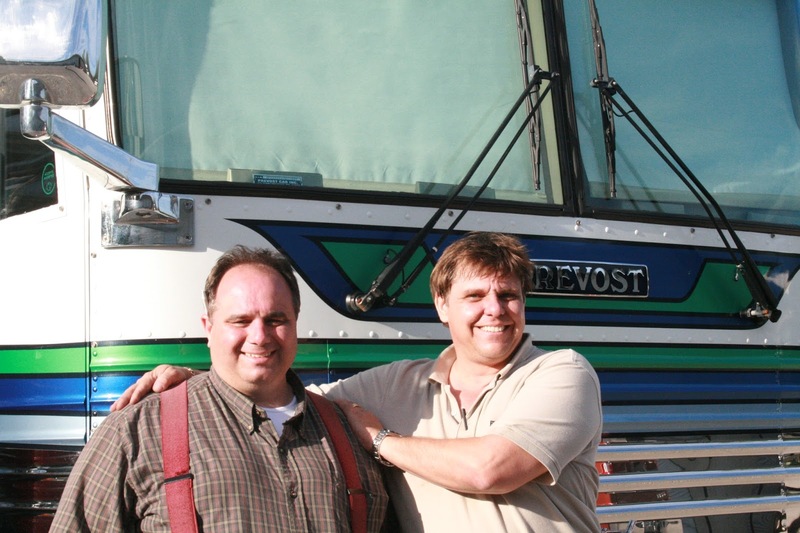 If not for Ben Isaacs, Jeff Rowe and the guys at Prevost Community, I might have left the BoggsMobile and the payment book along side the road years ago! After all of this time, we still felt like we made the right decision when we chose to make the jump from conventional RV's to the bus. We are happy to call the BoggsMobile home. God has been good to us. These are a few more pictures of our first day of ownership. We incorporated Boggs Family Ministries before we purchased the BoggsMobile. While searching for ministry names we seriously considered Road Runner Ministries. 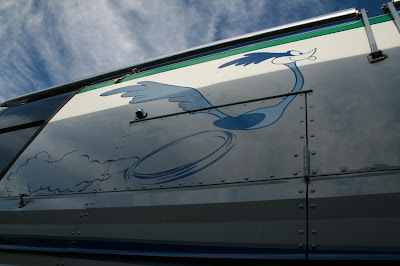 It is ironic that the Road Runner was on the bus when we bought it! And here are a few more pictures of the BoggsMobile. The first few were taken this week. Ten years and counting in the BoggsMobile! It feels like maybe we should celebrate in some way. Maybe we could celebrate with tacos! Thank you for tuning in today. I hope you enjoyed the post. Wow! Thanks for sharing...l've always wondered what your home looked like inside. Safe travels my friends! I’m so glad you enjoyed this post. Now you have an idea of what our home looks like. I love the BoggsMobile. It is a blessing to us. Thank you for checking in. How many other Pastors have the distinction of having driven the Boggsmobile...a highlight of my life...I miss you all terribly. I love my friends. You may be the only Pastor to drive it, my friend, although Sis. Brenda Galiher drove it last year! Will we see you at PFYC? Vintage View Vednesday 2009 Tri-State Youth Camp.